If you missed the first mandala in this collection, you can find it here. 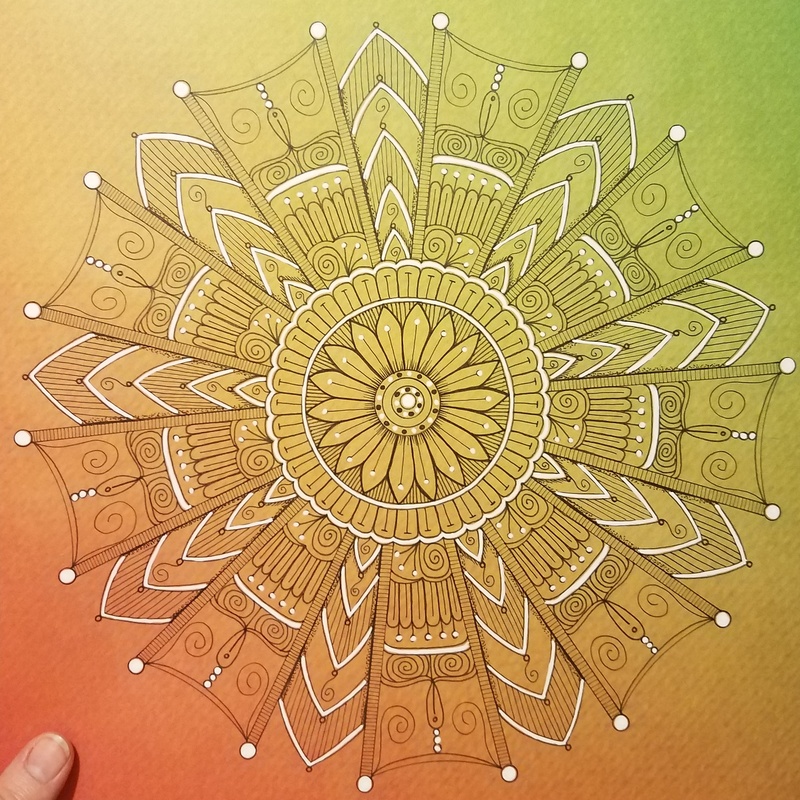 The first mandala was my first time using a white gel pen on one of my drawings, especially of this size. I liked it so much that I decided to use the same color pattern here. Black ink with white embellishments. This mandala immediately reminded me of a sunflower. As I built out, I realized that I wanted to try something a little different. I wanted to give depth to it. As a first attempt at this type of pattern, I was a little wary about how it would turn out because it is much like creating two mandala in one. My solution to this problem was to create a detailed mandala and a simple mandala. This way one doesn’t overpower the other and both can be equally appreciated. I really like the way that it turned out and it definitely tested my abilities as an artist. But that is something that I truly enjoy about art itself. Visit my YouTube channel to watch the time-lapse video. If you have any pattern suggestions for the next 3, please don’t hesitate to leave a comment. I would love to try anything new. Stay tuned for the 3rd mandala in this series, coming soon! 2nd Mandala in this collection.